No scale to weigh yourself? Every scale works the same way basically, displacement of space caused by an external force acting on it. Like how going inside a pool makes the water overflow or how when you step on a scale, the number shown comes from how far have your weight pushed down the surface of the scale. That’s the direct and accurate method anyway, essentially getting a scale substitute. Well, you can also estimate your body weights with the magic of mathematics. 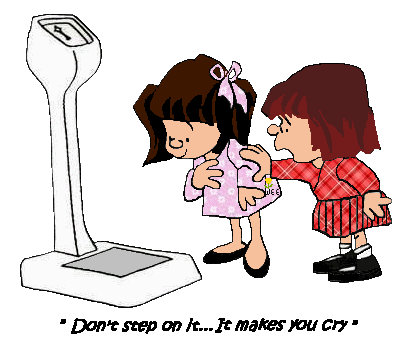 Let’s learn how to weigh yourself without a scale! Our body is made up of 70% water, so our body is about as dense as water. Density is measured as weight over the unit volume of an item, for water, it will be one gram for every cubic centimeter. We can make use of this formula to find your weight from the volume of water displaced. Using this method will give you a relatively accurate estimate of your weight. Measure the top surface area of a container you are going to use (length by width). Mark a height slightly below the top with a grease pencil or marker. For the container, find something that large enough to submerge yourself from head to toe, e.g. a bathtub. Fill the container to the height that you measured in the previous step with water. Submerge your entire body and be sure that nothing comes over the surface at all. Mark the level of water while you are submerged. Get a friend to help you. Get out of the water. Measure the vertical distance between the markers in the two steps. Convert the length to centimeters for easy calculation. Calculate the volume of water displaced by your body. e.g. if the area of your container is 10 cm by 20 cm, and the distance displaced is 5cm, then the volume displaced will be 1000 cubic centimeters. Calculate the weight with the density formula. e. g. if the tube is 1000 cubic centimeters, then it will equal 1000 grams or 1kg. That’s how you will find the weight with the Archimedes principle. All you need are container, marker, calculator, ruler, tape measure and lots of water. Lever and fulcrum are things to consider if you wonder how to weigh yourself without a scale. On average, a gallon of water in the USA sits at around 8.33 pounds or 4.26 kilos. The average can of paint weights to about 1 gallon. We are going to set up a see-saw. Perfectly balance them with the paint of can to your weight and count how many cans it took for the perfect balance. Make sure the fulcrum is right at the center of whatever board you are going to use as the surface. Add cans until you are slightly lifted, then slowly add more cans till it looks balance enough. Multiply the number of cans you needed by 8.33 pounds and you would get your weight with the margin for error of about 8.33 pounds give or take. You can always make this method more accurate with getting weight equal to half a gallon, a quarter, etc. and down that error to a minimum. Part 2: How to Weigh Yourself Without a Scale: 7 Ways to Estimate Your Weight Change As accurate as scales can be, it will only reveal your actual body weight. Rather when you are trying to lose weight, you should be looking at how much of the weight you are carrying is the fat tissue. The obsession of only the loss or gain from the scale will only be negative for your progress. This is an old but golden method. We are going to use a measuring tape to calculate how much of your size shrunk, and where you had lost that weight from. Places to track down will be the following: biceps, the stomach area, waist, hips and thighs. Make sure to measure on right over the skin for an accurate reading. The only measure once every month, since measuring weekly or daily will not be very obvious and gets you away from your weight checking habit. Create a before and after photo album. The best part is that this will not reveal the numbers, but rather the visual progress. Side by side comparison will show how much of your body had transformed. Scales do not take muscle development into account, so photos can be the best visual gauge to do. Grab someone you know to take the picture. Try to make the photo taken as objective as possible, you don’t need to take them at good angles for showing off, you are taking them to show progress. Make sure to get a decent lighting source. This will ensure that the changes shown in the photo are not affected by the lighting or surroundings. Always take the photos at the same time of the day and same area. Consistent attire is a must. If you did take your first photo in a bikini, then you are going to have to wear that bikini for every next photo sets. Best is probably a sports bra and shorts combo. Take note that the more skin shown, the more visible progress you are going to see. Take a photo set once every two to four weeks. Fit into a pair of your favorite jeans. How nice you fit your clothes is going to show the progress of your body transformations than knowing how heavy you are. Your weight and body composition does not necessarily equal each other. As your weight goes up, the fat could go down. This is because the weight you had lost probably turns into the same weight in muscle. Which means that your muscles are getting denser, as you exercise more, you are only going to look more toned and thinner, while still weighing about the same. The only downside is that you can’t tell exactly how much you had a loss in fats and gain in muscle. You can use calipers to estimate the fats amount, but it might get inconsistent. You will probably want to focus more on skinfold measurements rather than the percentage estimate. Considering that you are eating healthy, with plenty of water and exercises, you will soon feel the positive effects of feeling more energetic, a better sleep and an overall less lethargy feel. While you might not look skinner very soon, your health is already improving. It is going to be the first result of your weight loss goal. While you might think they are just praising you for the sake of it, believe me when I said that some of them do notice. As you gain or lose weight, the comments you are going to receive can be used to gauge your progress. Be more aware of how much space you take on the bench, the train etc. If you had been taking less and less space, that it is a good sign of weight loss. However, I don’t really recommend this method since it can potentially make you overly self-conscious. Love thyself: You are not going to be a better person just by shedding those fats away. While you might see yourself getting happier with the progress you had made, know that the real reward is the efforts you had put in to start improving your lifestyles. You should not work for a better body because you hate how you look. You are doing so because you love yourself and your body, and you will do your best to take care of it. BE AWARE THAT: If you want the most precise weight, scales are probably the best tool of choice, most convenient too. Besides, you can borrow one from anyone, friends, local gym or even the university. You can always try the above methods for a science project, though. Server responsed at: 04/25/2019 7:51 a.m.